H.E. 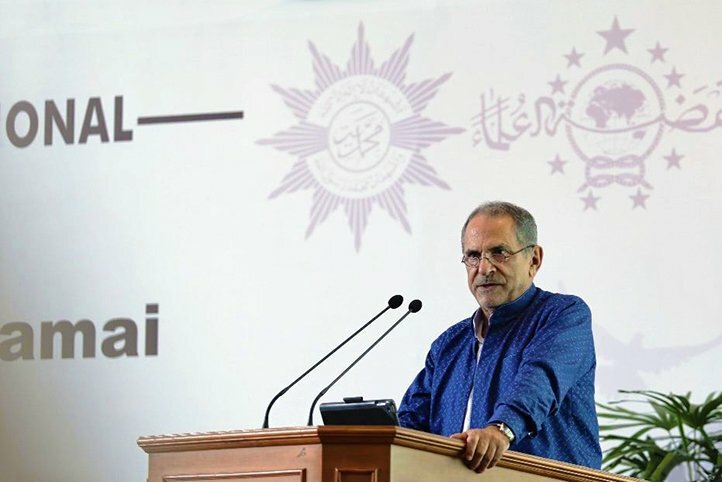 José Ramos-Horta—who received the Nobel Peace Prize in 1996; led East Timor’s independence movement; and served as its president from 2007 – 2012—joined UGM and an international assembly of scholars to discuss Nahdlatul Ulama (NU) and Muhammadiyah’s historic achievements and their nomination for the Nobel Peace Prize. Both groups’ contributions to Indonesian democracy played an essential role in granting independence to East Timor in 1999, following 24 years of Indonesian military occupation. 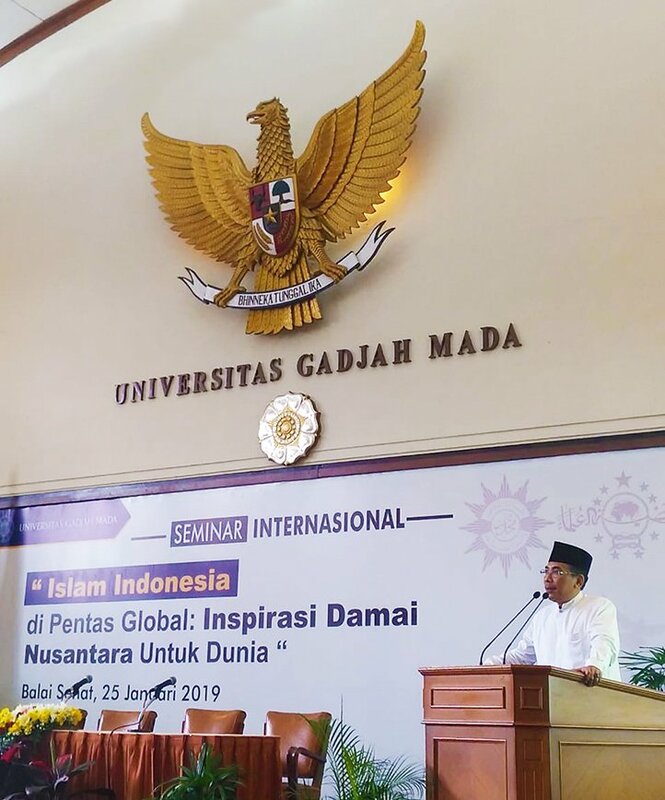 Former Muhammadiyah Chairman and senior LibForAll advisor Dr. Syafii Maarif told the audience that “The Middle East is plunging headlong into civilizational decay. There is no future for Islam without Indonesia, because [only] Indonesia can provide the antidote to the disease afflicting Arab Islam, which has infected the rest of the Muslim world, bringing violence and chaos in its wake. . . .
NU General Secretary and Bayt ar-Rahmah Director of Religious Affairs Kyai Haji Yahya Cholil Staquf (“Gus Yahya”), concurred with Dr. Maarif’s analysis, adding that “The Islamic world desperately needs new ijtihad [interpretations of Islamic law, to replace obsolete and problematic tenets of Islamic orthodoxy], but the Middle East lacks the [religious and spiritual] vitality required to conduct this ijtihad, due to the historical burden under which it labors. Indonesia—and especially the NU and Muhammadiyah—have the requisite vitality, and the practice of ijtihad has long been a de facto tradition within both organizations. The NU and Muhammadiyah are grassroots movements, whose daily business requires that they identify practical solutions to whatever problems their respective communities encounter. Both have succeeded in developing their own religious authority. As a result, any fatwa they issue concerning Islam may be promulgated without seeking authority from the Middle East, for the NU and Muhammadiyah both possess the independent religious authority, and legitimacy, necessary to do so. 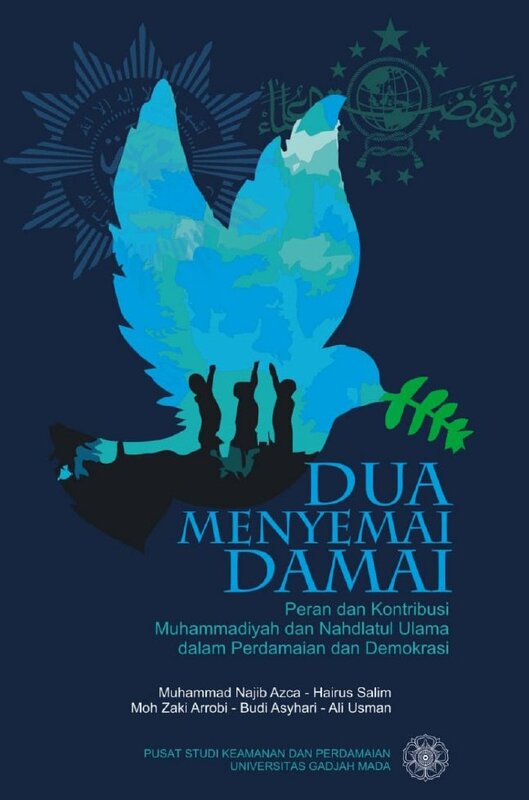 The January 17 and 25 events both featured Dr. M. Najib Azca, the director of UGM’s Center for Security and Peace Studies (PSKP), who announced the launch of a book entitled Dua Menyemai Damai: Peran dan Kontribusi Muhammadiyah dan Nahdlatul Ulama dalam Perdamaian dan Demokrasi (Two Peacemakers: The Role and Contributions of the Muhammadiyah and Nahdlatul Ulama to Peace and Democracy), which was written by PSKP’s research team. Gus Dur’s enduring contribution to democracy and world peace is a major theme of the book, which demonstrates how the visionary Indonesian president’s legacy has continued to grow even after his death, inspiring a burgeoning global movement for Humanitarian Islam. This movement aims to reform obsolete tenets of Islamic orthodoxy that enjoin religious hatred, supremacy and violence, by restoring rahmah (universal love and compassion) to its rightful place as the primary message of Islam. LibForAll Foundation—which Gus Dur co-founded in 2003—and its sister organization, Bayt ar-Rahmah, joined Gerakan Pemuda Ansor (the 5-million-member NU young adults organization) to establish the Humanitarian Islam movement, and their continuation of Gus Dur’s work is extensively referenced in conjunction with the 2019 nomination of the Nahdlatul Ulama for the Nobel Peace Prize. Two Peacemakers documents the Nahdlatul Ulama and Muhammadiyah’s essential role in mobilizing strong and broad support among Indonesian Muslims for that nation’s transition from authoritarian rule to democracy; strengthening and ensuring the success of Indonesia’s nascent democracy; and their efforts to promote conflict resolution and human rights on the global stage. LibForAll/Bayt ar-Rahmah achievements hailed by Two Peacemakers include: Illusion of an Islamic State, a book that derailed the political aspirations of the Muslim Brotherhood-affiliated party PKS and other transnational Islamist groups hostile to Indonesia’s tradition of religious pluralism and tolerance (pp. 213 – 214); the Islam Nusantara (East Indies Islam) campaign (pp. 145 – 147); Middle East peace efforts (pp. viii; 198 – 203; 206); the ISOMIL Nahdlatul Ulama Declaration (pp. 147 – 151; 204); Humanitarian Islam (p. 151); the Second Global Unity Forum and the Nusantara Manifesto (p. 151). The book also details the NU and Gerakan Pemuda Ansor’s principled defense of religious minorities, both in Indonesia and internationally (pp. 167; 177; 186 – 193). NOTE: The statutes of the Nobel Foundation prohibit it from divulging the names of nominators or of nominees for the Nobel Peace Prize, until 50 years have elapsed from the time of nomination. 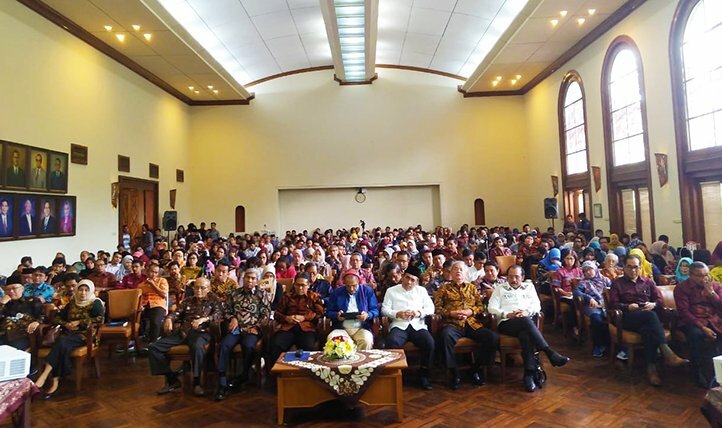 However, the Nahdlatul Ulama and Muhammadiyah’s nomination for the Nobel Peace Prize has been extensively covered in Indonesian media, citing well-placed sources.